My hubby's new favorite dip! It's a cold dip...which means no heating up the kitchen. A huge plus in these, already steamy, hot days. 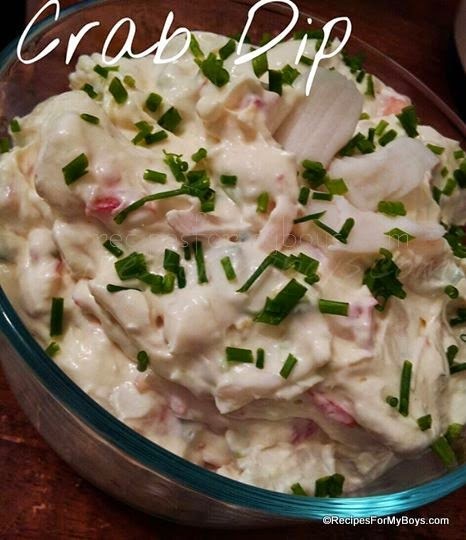 This delicious dip would be great with shrimp or lobster if you prefer. Imitation seafood would also be great. Cream or whisk, cream cheese, margarine, lemon zest, garlic and horseradish until smooth. Stir in tomatoes, onions. Fold in crab meat. Season with salt and pepper to taste. Chill at least 1 hour before serving.